For a taste of the south…Jumbalaya is pretty inexpensive to make, easy to serve a large group of people, and definitely a crowd pleaser. 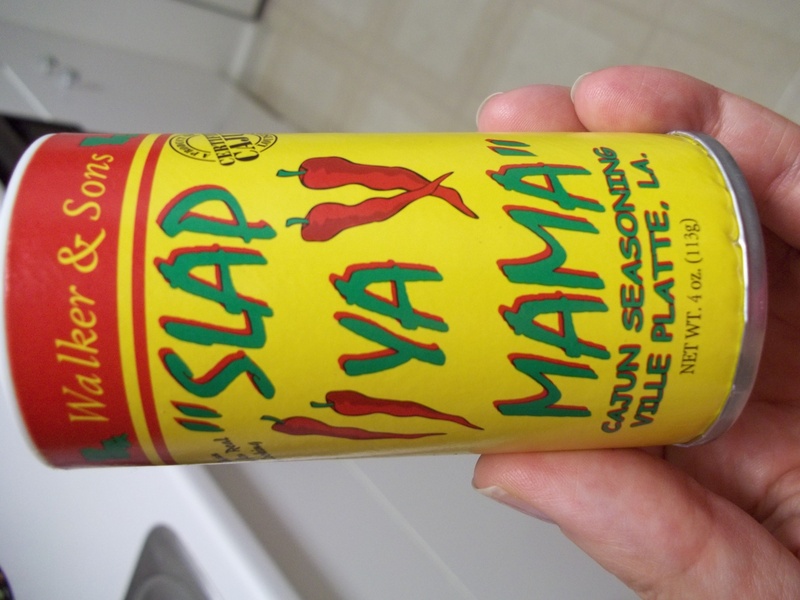 The best part is that I use a Cajun spice I bought while in New Orleans this summer, appropriately named “Slap Ya Mama” spice mix! Although a simple blend of chili powder, garlic, salt, and pepper… it was delicious… and the name made it even more so! Chop the chicken tenders into bite sized pieces. 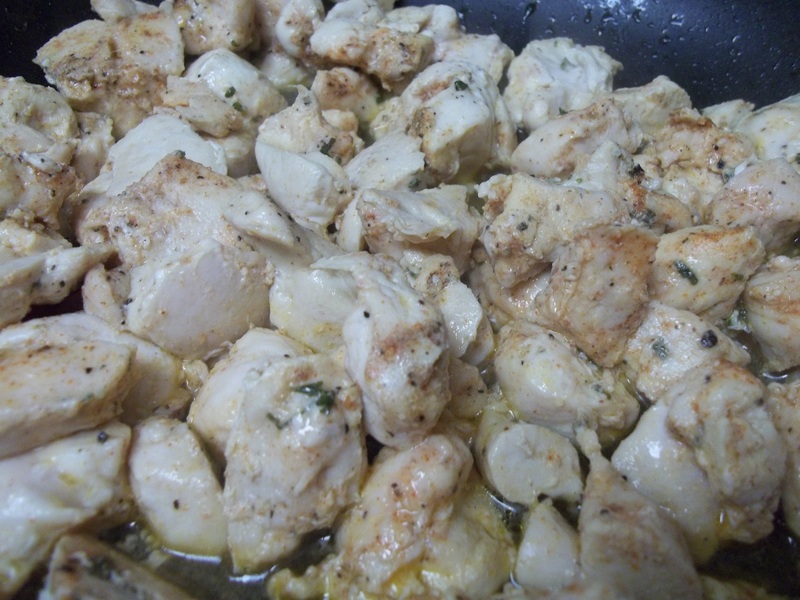 In a shallow saute pan with olive oil, saute the chicken tender pieces until cooked through. While they are cooking, add 1 tbsp. Slap Ya Mama seasoning, 1 tsp. cumin, 1 tsp. smoked paprika, and 1 tsp. parsley and stir frequently. Cook 2 cups rice to package directions. 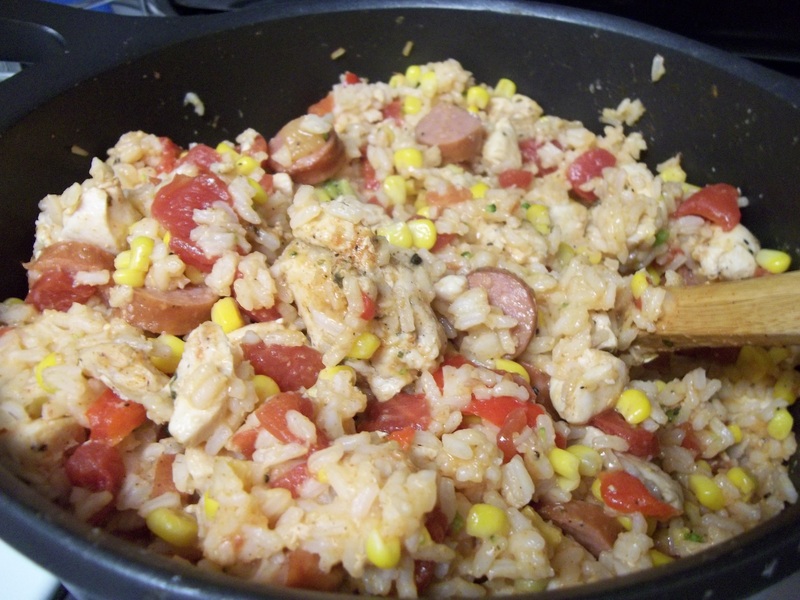 In a large pan, add the rice, chicken, canned chopped tomatoes, sausage links (cut into bite size pieces), package of corn and pepper mix, 1 tbsp. Slap Ya Mama seasoning, 1 tsp. cumin, 1 tsp. smoked paprika. Stir and heat on low heat until heated through. Serve hot… preferably with a banjo player!